As recently announced, the final two days of the Raise Up project were held in Bari on the 4th and 5th of April. 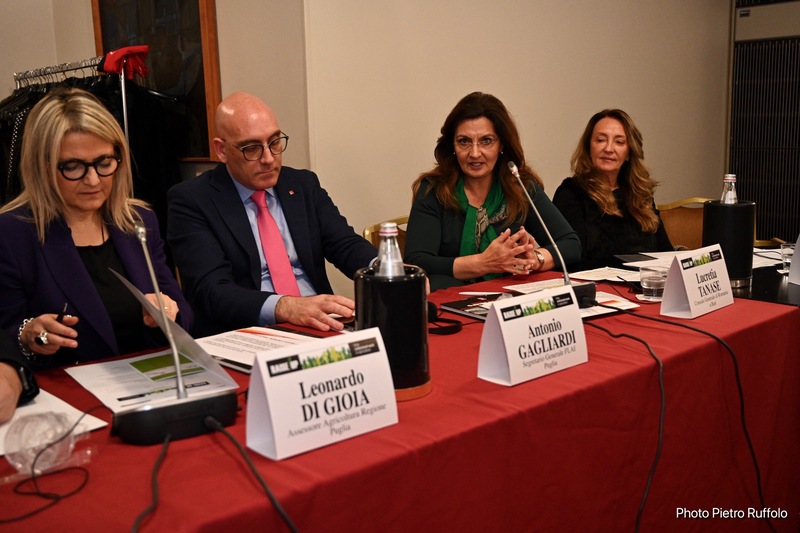 On April the 4th, as part of an international seminar, the results of the project and its innovative approach to contrasting undeclared work in agriculture were presented. Speakers who took part to the conference: Gigia Bucci, General Secretary of the CGIL of Bari; Lambert Kleinmann, Director of DG Employment, Social Affairs and Inclusion of the European Commission; Pietro Ruffolo, Project Manager of RAISE UP and coordinator of the European and international Policies Area of the Flai Cgil Nazionale; Lucretia Tanase – Romanian Consul General in Bari; Anna Maria Patrizia Gadaleta Honorary Consul of Bulgaria in Bari; Svetla VASSILEVA for the Bulgarian FNSZ Agricultural Union; Georgi Milchin, Secretary General of the Bulgarian Labor Inspectorate; Arnd Spahn – Effat Secretary for the agriculture sector; Leonardo Di Gioia – Councilor for Agriculture of the Puglia Region and Sebastiano Leo – Councilor for the labor market of the Puglia Region. In addition to the participants of the countries directly involved in the project, Thomas Hentschel was also present, representing the German agricultural trade union IG-BAU. He took the floor to express the desire to build, with the conference participants, awareness campaigns for migrant workers. 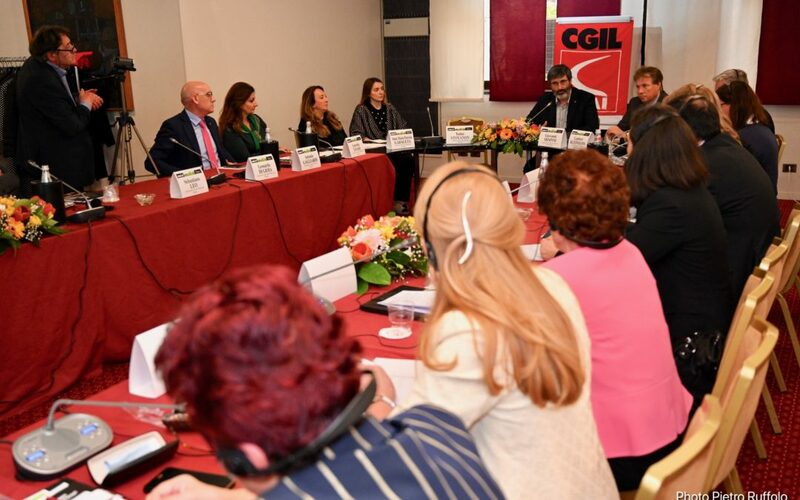 Flai Cgil was invited to participate in an information campaign organized by IG-BAU and addressed to seasonal Bulgarian workers involved in the collection of fruit and vegetables in the Hesse region. 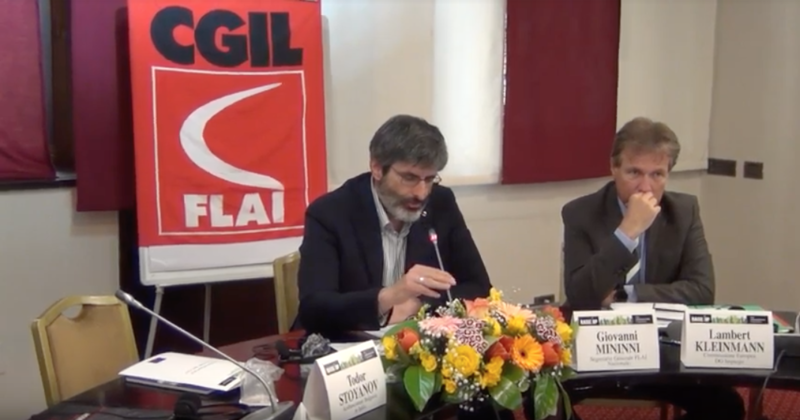 Giovanni Mininni, Secretary General of Flai Cgil, concluded the works. You can retrieve his intervention here. The presence of the representatives of the partner organizations and countries represented an important opportunity for discussing the next steps to be taken to continue the action of the project even after its conclusion. 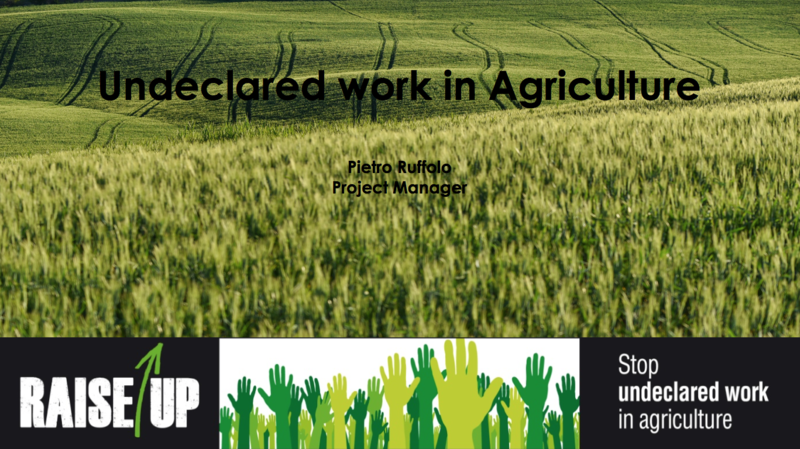 The entire presentation of the project manager Pietro Ruffolo can be downloaded here. The project is so coming to an end, but we will continue to publish here for a while to explore other issues related to the problem of illegal hiring in agriculture. We will soon write about the Quality Agricultural Work Network and we will also focus on the situation in Bulgaria.